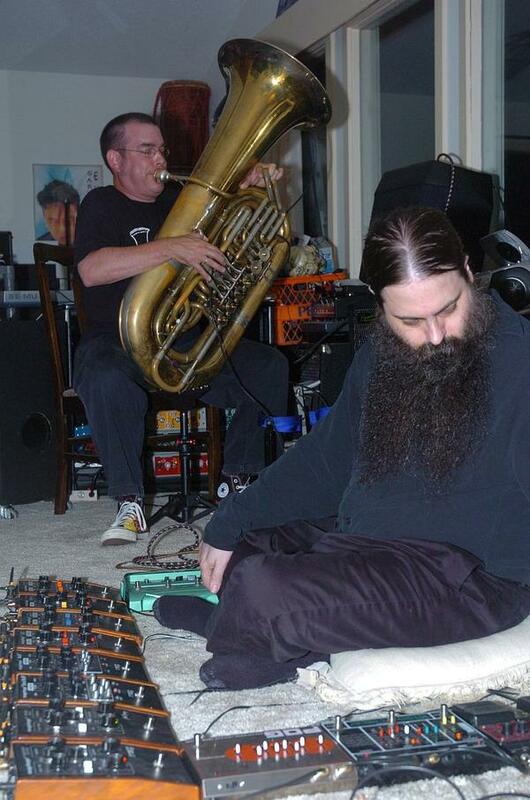 Ouroboros: instrumental improvisational live looping and live-processing of tuba. Ouroboros is live looped and processed tuba, originally loosely inspired by a mutual admiration for Bill Laswell's work and a wonder what tuba would sound like through a ring modulator and other effects infrequently applied to horns. Research Triangle Park, North Carolina. Many recordings are available on the Sounds page. Send email to hear about future shows and events involving Ouroboros and related musical projects, or to inquire about booking Ouroboros.